She used to watch her Dad taking her Mom and elder sister to the Opera.They dressed up so beautifully for those occasions and there was always a box of chocolates. At that time, she was a young girl who felt that there would be numerous operas and boxes of chocolates waiting for her in the future. 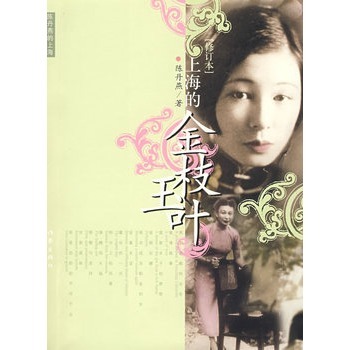 Her daughter Jingshu once said that mother's bearing was the result of the education received from Yenching Univertiey. Being together with Daisy, sometimes I felt the urge to plan time for some adult ballet lesson. They were those who pursue life, considering happiness as the bottom line. They hold a proud attitude towards life as if playing a game, not willing to compromise, and not willing to bend in front of it. They often traveled between Shanghai and HongKong, and never felt the necessity to leave forever. At the time they really believed, as all Chinese people, that the Fifties were the Golden Age. They never discussed his feelings towards the plight he was in. Maybe Daisy was not as strong as she became later, and neither of them wanted to face the grave shadow that was reaching out for them at any moment. Maybe they wanted to pretend that nothing had ever happened. She tried her best to keep calm, to avoid using language with emotion, but she could no longer be at ease. She was like a kid who fell and cut her knee, although in great pain, she would only dear to peek at the bleeding with a quick glance, not having the courage to look into it directly. They suddenly woke up something in my heart, just like those worn out buildings of the colonial age, which stand along the streets in Shanghai. These buildings would wake up the history of a city. I talked about the analogy to the cracked walnut, mentioned the aesthetic life, which was painful for a gentle female. She looked into my eyes and said:"If life really wanted to bestow something upon me. I would just accept it."